We recently heard Honda chief engineer Art St. Cyr talk about the excellent fuel economy that the Japan-only Fit Hybrid gets. "You may have seen the numbers," St. Cyr told a group of journalists, "the new one-motor hybrid system gives the Fit Hybrid the highest fuel efficiency among hybrid models in Japan." With a fuel economy rating of 36.4 kilometers per liter (86 miles per gallon) using the Japanese test cycle, Honda is (justifiably) proud that the little gas-electric hatchback with a 7-speed DCT and a high-output motor paired with a new Atkinson engine outperforms the popular Toyota hybrid line-up back home. Here in the US, though, the most efficient Honda Fit gets just 31 mpg combined (28 in the city and 35 on the highway). Those are the EPA numbers for the 1.5-liter, 4-cylinder with the automatic five-speed transmission. Wouldn't it be nice to get a greener Fit over here? If Honda can make a 35-percent improvement between Fit Hybrid generations (as it did with the new model). 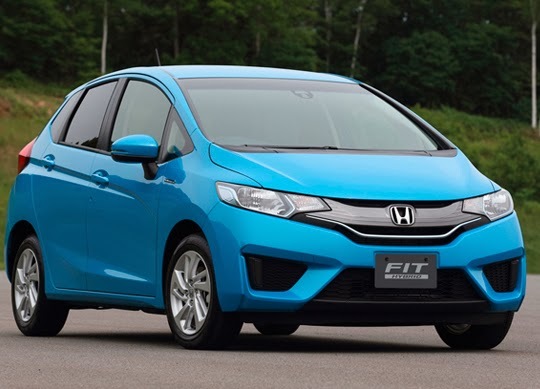 St. Cyr said that the 2015 Fit, which arrives in the US next spring, will have some of Honda's Earth Dreams engine and transmission technology in it and St. Cyr said, "we expect to make it a performance and fuel economy leader in the sub-compact segment." Exactly that that means is something we should learn more about during the upcoming auto show season. What we do know is that Honda is still not planning on bringing the hybrid here. Yet. The best we could do is get St. Cyr to tell AutoblogGreen that Honda, "may reevaluate in the future" if the company sees more interest in hybrid tech in the US. How much interest is that? We don't know, but in Japan, current-generation Fit pre-orders were 70 percent tilted in favor of the Hybrid. Honda has announced plans to bring a refreshed, 2014 Honda Civic Coupe to the 2013 SEMA Show, set to kick off on November 5. Honda's struggles with the 9th generation Civic have been widely publicized, and while the 2013 model year sedan has seen a significant overhaul, the two-door is now getting some additional enhancements for 2014. Honda has released one teaser image of the Civic Si Coupe to go along with the announcement, but we can discern a few things. The Si Coupe now features a larger rear spoiler, along with a restyled, more aggressive rear bumper, complete with a diffuser. The taillights look smoked, and the wheels look larger than the current Si's alloys. Besides those details, it looks like we'll be waiting until November 5 to see just what Honda has in store for the Civic. Take a look below for the full press release from Honda. Just one year after major improvements established the Honda Civic as the clear compact segment leader, Honda will further its segment leadership again with new enhancements to the Civic lineup for 2014. Details and technical changes will be announced in the coming weeks, but the world will get its first look at some of the changes when the 2014 Honda Civic Coupe (http://automobiles.honda.com/2014-civic/) makes its world debut at the 2013 Specialty Equipment Market Association (SEMA) Show in Las Vegas during a press conference scheduled for Nov. 5th at 9:30 a.m. PT. As one of the key vehicles sparking the original import tuner movement of the late 1980's and early 1990's, the Honda Civic has been the platform of choice for those seeking personalization potential and built-in performance coupled with unmatched reliability. The 2014 Civic Coupe will honor that proud tradition by making its debut among its most ardent fans, displaying multiple variations at the 2013 SEMA Show. Along with the Civic, the Honda SEMA booth (24987) will feature an impressive array of personalized automobiles, motorcycles and the 133-mph "Mean Mower" (http://bit.ly/MeanMower) developed by Honda (UK) and their title-winning British Touring Car Championship (BTCC) partner, Team Dynamics. Show attendees are also invited to register online for the Honda Industry Soiree, sure to be the unrivaled Tuesday night event, unfolding at 10:00 p.m. PT at Tao nightclub in The Venetian Las Vegas. It’s not exactly a secret that Honda vehicles are among the best-selling automobiles in the country, so to see some of them end up on an Edmunds “Best Of” list isn’t necessarily surprising. Still, to have to Honda vehicles featured prominently on a list titled, “17 Best Cars You Can Buy,” is pretty humbling. The 2014 Honda Odyssey and 2013 Honda CR-V should both be so proud of themselves for making the cut! Sirius XM Radio (NASDAQ: SIRI) and American Honda Motor Co., Inc. have extended their relationship to January, 2020, significantly increasing the penetration of SiriusXM factory-installed technology in new Honda and Acura vehicles. 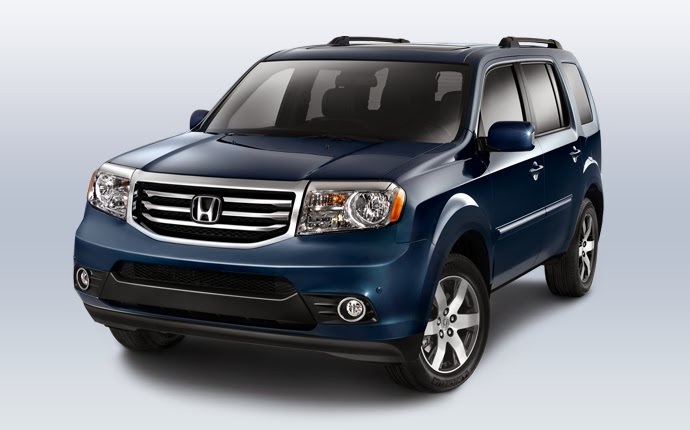 Starting in 2014, American Honda will steadily increase the penetration of SiriusXM across its entire vehicle lineup. The automaker will expand SiriusXM as factory installed equipment on its best-selling models, including the Accord, Civic, CR-V and Pilot, as well as add SiriusXM for the first time ever to the Fit, CR-Z and Insight. In addition, SiriusXM will become standard equipment on Acura ILX. American Honda introduced its first vehicles with factory-installed satellite radio starting in 2003, and has produced more than 5.6 million vehicles with satellite radio to date. "American Honda is one of the original automakers to adopt satellite radio, and its increase of SiriusXM factory-installed satellite radio in Honda and Acura vehicles is a testament to the strong demand among customers and dealers for SiriusXM," said Steve Cook, executive vice president, sales and automotive, SiriusXM. "We are pleased to continue our relationship with American Honda to 2020 and look forward to a very significant number of loyal Honda customers becoming part of our family of more than 25 million satisfied subscribers." "A wide variety of commercial-free music, live sports, and exclusive entertainment programming has become an important feature for our customers," said Art St. Cyr, vice president of product planning and logistics, American Honda. "Increasing the availability of SiriusXM makes our vehicles more fun-to-drive and enjoyable." Customers purchasing any new Honda or Acura vehicle equipped with satellite radio will receive a 3-month subscription to SiriusXM's All Access Package with access to SiriusXM's premium programming lineup, including every NFL game, Howard Stern, every NASCAR® race, Oprah Radio® and MLB Network Radio™, and more, plus access to SiriusXM Internet Radio on smartphones and other connected devices as well as online at siriusxm.com. For more information on SiriusXM, please visit www.siriusxm.com. Sirius XM Radio Inc. is the world's largest radio broadcaster measured by revenue and has more than 25 million subscribers. SiriusXM creates and broadcasts commercial-free music; premier sports talk and live events; comedy; news; exclusive talk and entertainment; and the most comprehensive Latin music, sports and talk programming in radio. SiriusXM is available in vehicles from every major car company in the U.S., from retailers nationwide, and online at siriusxm.com. 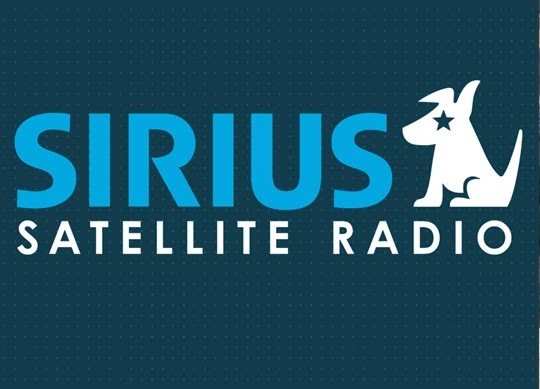 SiriusXM programming is also available through the SiriusXM Internet Radio App for Android, Apple, and BlackBerry smartphones and other connected devices. SiriusXM also holds a minority interest in SiriusXM Canada which has more than 2 million subscribers. On social media, join the SiriusXM community on Facebook, facebook.com/siriusxm, Twitter, twitter.com/siriusxm, Instagram, instagram.com/siriusxm, and YouTube at youtube.com/siriusxm. The Accord Hybrid is the latest model in the completely redesigned ninth-generation Accord lineup, Honda's best-selling model in America. The addition of the Accord Hybrid, which follows the September 2012 launch of the Accord Sedan and Accord Coupe (with 4-cylinder and V-6 powertrains) and the January 2013 launch of the Accord Plug-In, further broadens what is already the most diverse range of models and powertrain options in the history of Accord and in the hotly competitive U.S. midsize sedan market. 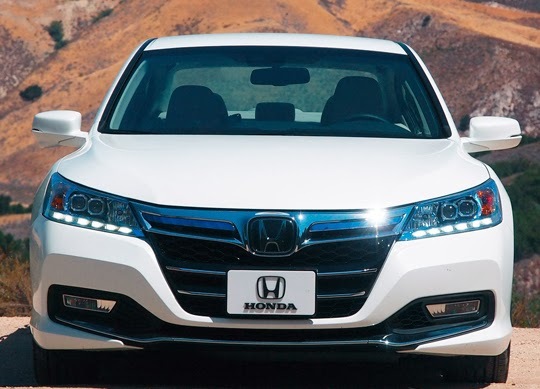 The all-new Accord Hybrid, manufactured by Honda of America Mfg., Inc. in Marysville, Ohio, joins the Indiana-made Civic Hybrid as the second Honda-brand hybrid vehicle to be produced in America1. Utilizing the same Earth Dreams Technology™ powertrain architecture as the Accord Plug-In, Honda's first two-motor hybrid powertrain, the Accord Hybrid is designed to deliver outstanding fuel efficiency and fun-to-drive performance, and at 50 miles per gallon2 it delivers the highest EPA city fuel-economy rating of any four door sedan. Utilizing the same fundamental body and chassis architecture as the standard (non-hybrid) Accord Sedan, including its highly aerodynamic and lightweight body, sophisticated suspension design and outstanding interior package, the 2014 Accord Hybrid also delivers on the new-generation Accord's promise to excel in all areas. These areas include not only fuel efficiency and driving performance but also class-leading passenger comfort and ergonomics; top-level safety and driver-assistive systems with features such as Honda's next-generation ACE™ body structure, available Lane Departure Warning, Forward Collision Warning and LaneWatch (standard); and leading-edge connectivity via the new HondaLink® connected car technology. The Accord Hybrid's two-motor hybrid system, part of an expanding lineup of Honda Earth Dreams Technology™ powertrains, seamlessly blends electric-only, hybrid and engine drive modes along with powerful regenerative braking to provide responsive and efficient performance in a wide range of driving situations. Fuel efficiency is further aided by a number of features exclusive to the Accord Hybrid and Accord Plug-In. These include an all-aluminum front subframe, which replaces the steel-and-aluminum subframe used on the conventional Accord Sedan and Coupe models, and an aluminum rear bumper beam, which helps offset the additional weight of the rear-mounted battery pack while also improving front-to-rear weight balance. The 2014 Accord Hybrid further advances Honda's commitment to gasoline-electric hybrid powertrains as a critical technology for reducing fuel consumption and CO2 emissions from its automobile products. Honda introduced America's first hybrid automobile, the first-generation Insight, in December 1999; the first hybrid version of an existing mass-market vehicle, the Civic Hybrid, in 2002; the world's first mass-produced V-6 hybrid car, the first-generation Accord Hybrid, in 2004; the world's most affordable hybrid car, the second-generation Insight, in 2009; and the first affordable sporty hybrid car, the CR-Z, in 2010. 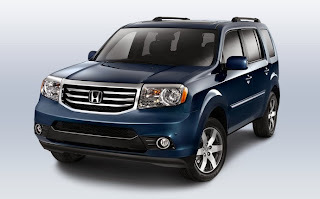 If someone were to approach a random person on the street and ask them to name a current Honda model, chances are pretty strong that the 2014 Honda Pilot wouldn’t be the first one rattled off. Despite the fact that it doesn’t have the same sort of name recognition as the Accord or Civic, we feel very strongly about this spacious and reliable midsize crossover, and we know that all San Diego Honda dealers feel the same way. Had your fill of tooling around the Lamborghini Museum on Google Street View? Maybe Italian supercars aren't your thing? 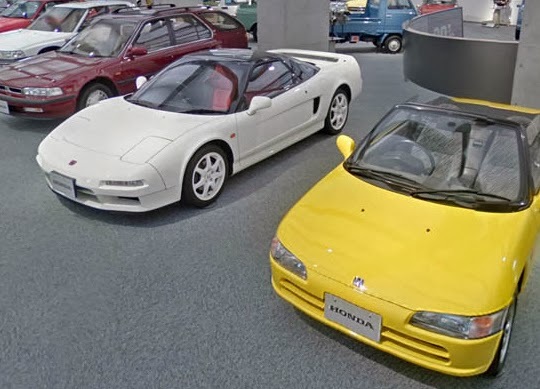 Then we've got good news, because The House That Ferruccio Built isn't the only automotive museum in cyberspace: now the Honda Collection Hall has opened its doors to the crew from Mountain View, too. We are all systems go right now for the all-new 2014 Honda Fit, which represents a complete redesign for a tremendous riser among our stable of vehicles, but in the midst of getting so excited about it, we kind of forgot something pretty important: our stock of used Honda Fit models are pretty darn good, too. Honda Start Something Special -- "Jason's Fit"
The 2014 CR-Z is on-sale, combining sleek styling, numerous standard features and sporty handling while maintaining terrific fuel efficiency. The CR-Z was thoroughly updated for the 2013 model year with a more powerful battery pack, increased power and styling improvements, while also earning a TOP SAFETY PICK rating from the Insurance Institute for Highway Safety (IIHS). For 2014, the CR-Z remains the only hybrid vehicle offered with a sporty manual transmission. Using Honda’s highly efficient, compact Integrated Motor Assist (IMA) hybrid system, the CR-Z has an EPA rating of 31/38/34 mpg2 city/highway/combined (MT) and 36/39/37 mpg2 city/highway/combined (CVT), and is rated as an Advanced Technology-Partial Zero Emissions Vehicle (AT-PZEV) in states that adhere to California Air Resource Board (CARB) ZEV standards (EPA Tier 2, Bin 2 in all states). Two models are available, the standard CR-Z with a starting MSRP of $19,9952, and the feature-rich EX with a starting MSRP of $21,8402. Both models come equipped with a standard 6-speed manual transmission or an available CVT. Additional standard features on every new 2014 CR-Z include Bluetooth® HandsFreeLink®, Bluetooth® Audio, rearview camera, an Expanded View Driver's Mirror, AM/FM/CD/USB audio system with six speakers, automatic climate control, power windows and door locks, remote entry and cruise control. 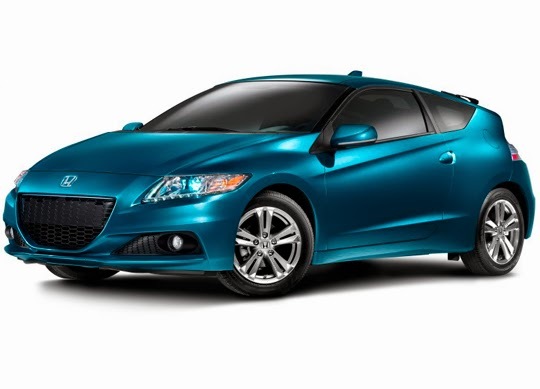 View, build and price a 2014 Honda CR-Z athttp://automobiles.honda.com/cr-z. PowertrainThe hybrid powertrain uses a 1.5-liter 4-cylinder, 16-valve, single-overhead cam (SOHC) engine with "intelligent" Variable Valve Timing and Lift Electronic Control (i-VTEC®) that receives additional power from the Integrated Motor Assist (IMA®) system's DC brushless electric motor. Powered by a 144-volt Lithium-Ion battery pack, the 15-kW electric motor assists in acceleration and also acts as a generator during braking or coasting to capture kinetic energy and recharge the battery. Combined peak output is 130 horsepower at 6000 rpm and 140 lb-ft. of torque (127 lb-ft. on CVT-equipped models), including electric-motor assist (all figures SAE net). Selectable Econ, Normal and Sport operating modes let the driver select his or her desired balance of economy and performance. In addition, the standard Plus Sport System delivers increased acceleration when the driver presses the "S+" button on the steering wheel (when the battery is more than 50-percent charged and the CR-Z is traveling over 19 mph). BodyRefreshed with exterior design and trim upgrades for 2013, the CR-Z's "one-motion" exterior wedge shape begins at its low-slung hood to form a broad forward stance, with its deeply inset beltline adding a dynamic element. Standard exterior features include power windows and door locks, remote entry, and an Expanded View Driver's Mirror. The up-level CR-Z EX model adds LED daytime running lights (DRL), High-Intensity Discharge (HID) headlights with Auto-On/Off, and fog lights. ChassisFront MacPherson strut and rear H-shaped torsion beam suspension, along with electric power-assisted rack-and-pinion steering (EPS), are tuned to provide a sporty driving experience. All CR-Z models have 16-inch aluminum wheels and 195/55R-16 tires, and larger 17-inch alloy wheels with 205/45R-17 tires are available. The CR-Z’s low height, compact wheelbase and placement of the battery and other hybrid components beneath the rear cargo area contribute to a low center of gravity and responsive, sporty handling. InteriorThe CR-Z interior has a high-tech appearance and intuitive controls. Its ultra-modern instrument panel features gauges that illuminate with a three-dimensional color theme for a multi-layered appearance, with the tachometer backlighting color changing based on driving style. The sweeping upper dashboard shape creates a wraparound cockpit environment. Premium sport-oriented seats provide firm lateral support along with everyday driving comfort. A console behind the front seats optimizes cargo space, with a hard-shell separator that can be closed to create additional hidden storage. Standard electronic features include a 160-watt AM/FM/CD audio system with six speakers and speed-sensitive volume control, a CD/MP3 text readout and a USB3 auxiliary input jack for connection to a portable audio player. Other interior features include Bluetooth® HandsFreeLink®, automatic climate control, cruise control and a rearview camera. The up-level CR-Z EX adds a 360-Watt AM/FM/CD Premium Audio System with seven speakers including subwoofer, perforated leather-wrapped steering wheel, and more. A Honda Satellite-Linked Navigation System™4 is available on the CR-Z EX and features a 6.5-inch screen and rearview camera display. Included with the Navi system are FM traffic and voice recognition, Pandora® Interface, Bluetooth® streaming audio and an SMS text messaging function. SafetyHonda’s exclusive Advanced Compatibility Engineering™ (ACE™) body structure helps protect occupants in a frontal collision. Additional safety technologies include dual-stage, multiple-threshold front airbags; standard front-side airbags with passenger-side Occupant Position Detection System (OPDS); side-curtain airbags, active head restraints; an anti-lock braking system (ABS); a tire pressure monitoring system; and design features to the front of the vehicle intended to mitigate potential injuries to a pedestrian in a collision. WarrantyThe 2014 Honda CR-Z is covered by a 3-year/36,000-mile new-car limited warranty, a 5-year/60,000-mile powertrain limited warranty, and a 5-year/ unlimited-mile corrosion limited warranty. A 15-year/150,000-mile emissions warranty also applies when the vehicle is registered and normally operated in California and certain states that have adopted California Zero-Emission Vehicle regulations. This year's highly successful Honda Civic Tour with headliner Maroon 5 and special guest Kelly Clarkson wrapped up Oct.6 in the band's hometown of Los Angeles at the famed Hollywood Bowl. Both artists set records this year with the most sellouts the Honda Civic Tour has ever seen in its 12 year history. With the attendees from this tour, over 3.5 million fans have attended a Honda Civic Tour show since the start of the popular summer event in 2001. Earlier this year, Maroon 5 played 31 arena dates to over 435,000 ticket holders. Since February, the band has performed to over 1 million fans on theOverexposed touring cycle making 2013 one of the biggest years for the group to date. The tour concludes on the heels of frontman Adam Levine being featured on the fifth season of the NBC hit series The Voice, which recently premiered this fall to record ratings and took home the 2013 EMMY Award for Best Reality Competition Series. Although the very successful Honda Civic Tour has come to an end, fans still have a chance to win a customized and autographed Maroon 5 Honda Civic Si Coupe and Honda CBR250R motorcycle through the 'Custom Wheels Sweepstakes'. Both the car and motorcycle were designed and autographed by the LA quintet with their signature color scheme, each making a clean yet bold statement. Enter for your chance to win the Maroon 5 custom Civic by visitingHonda.us/M5Civic and the Maroon 5 custom CBR250R motorcycle by visiting Honda.us/M5Bike through Thursday, Oct. 31, 2013 at 11:59pm ET. Fans can like Honda Civic Tour on Facebook or follow on Instagram or Twitter through the #hondacivictour to learn more about what's upcoming for 2014. About Maroon 5Capturing their first of three Grammy Awards as "Best New Artist" of 2005 and going on to sell more than 17 million albums worldwide, Maroon 5's releases have gone gold and platinum in over 35 countries. The band won over fans and critics alike with the hybrid rock/R&B sound they introduced on their debut album, Songs About Jane and their double platinum album, It Won't be Soon Before Long, which included hits like "Makes Me Wonder" and "If I Never See your Face Again." In 2010, the band released their third studio album, Hands All Over, which was certified platinum. The collection featured two hit singles including the Hot AC smash "Misery" and the anthemic "Moves Like Jagger," which climbed to the #1 spot on the Top 40, Hot AC and Billboard Hot 100 charts. The track has also become one of the best-selling singles of all time. Following the release of the album, both "Misery" and "Moves Like Jagger" received GRAMMY nominations. 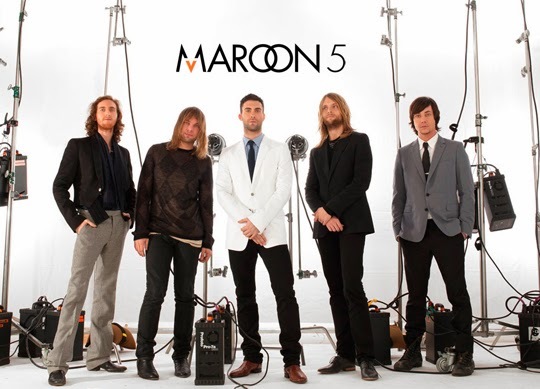 Maroon 5's latest album Overexposed has quickly reinforced the group's status as a powerhouse in popular music with all of the collection's singles quickly rising to the top of the charts. The third single off of the album, "Daylight," claimed the # 1 spot on both Top 40 and Hot AC radio charts. In the process, the band set a record for the most #1's (six in total) by a group in the Top 40 chart's 20-year history. Maroon 5's latest hit, "Love Somebody," reached the Top 5 on the Top 40 and #1 on the Hot AC radio charts. In addition to his work with Maroon 5, Adam Levine has returned for the fifth season as a coach on the EMMY Award winning NBC hit series The Voice. Adam made his small screen acting debut on the second season of the hit FX drama American Horror Story, and will soon be seen in a lead role in the major motion picture film, Can A Song Save Your Life from director John Carney, which premiered at the Toronto International Film Festival earlier this month. With 3.5 million fans having attended Honda Civic Tour concert events since 2001, Civic Tour has established itself as one of the nation's most compelling, successful music concert tour franchises. Civic Tour has provided concert-goers with an exclusive, interactive concert experience featuring up-close and personal access to their favorite bands, including Linkin Park, blink-182, My Chemical Romance, Paramore, The Black Eyed Peas, Fall Out Boy, Everclear, Incubus, Good Charlotte, New Found Glory, Dashboard Confessional and Panic! at the Disco. There’s no questioning the fact that Honda is one of the better-selling makes of automobile in the industry today, and obviously models like the Honda Accord and Honda Civic have helped with that. Of course, the 2014 Honda CR-V, the best-selling SUV in the entire automotive industry, has been a great member of the Honda family, too, and we Honda dealerships are very excited about the latest iteration of CR-V that only recently made its way to lots across the country. *Manufacturer's Suggested Retail Price (MSRP) excluding tax, license, registration, $830 destination charge and options. Dealer prices may vary. **Based on 2014 EPA mileage estimates. Use for comparison purposes only. Your actual mileage will vary depending on how you drive and maintain your vehicle. Honda Start Something Special -- "Mia's CR-V"